That's the upshot of new report on worldwide storage deployments from GTM Research. The U.S. and Australia led the pack in 2017, thanks to several mega-projects coming online, and market drivers that reward storage investment. Germany and Australia thrive in the residential storage segment, which hasn't achieved significant scale in the U.S. Most of these markets have barely emerged from their pilot stages and offer very few use cases for storage that can earn a profit. Expect that to change rapidly in the coming years. 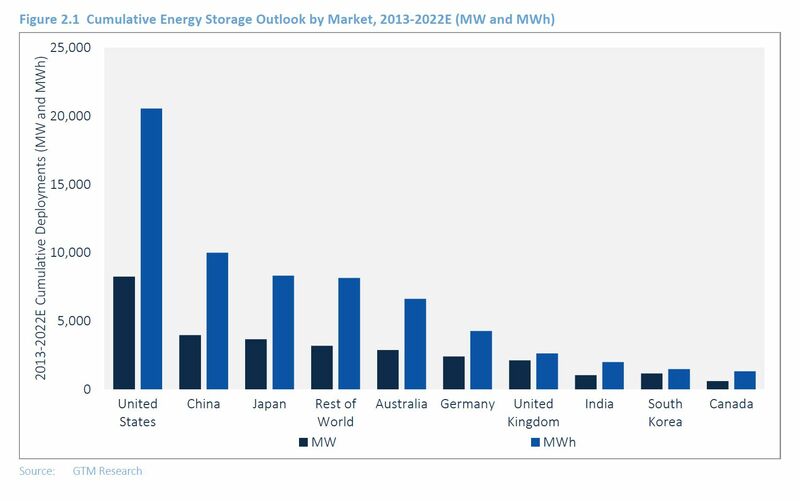 In the meantime, here's what you need to know about the global energy storage market. "Even as the costs have come down, if storage as a technology doesn't have the right kind of market signals to participate in the markets, you’re not going to see adoption," he said. "The U.S. is way ahead when it comes to setting the right kinds of policies and market mechanisms to give the right kinds of business model signals to the industry to participate." 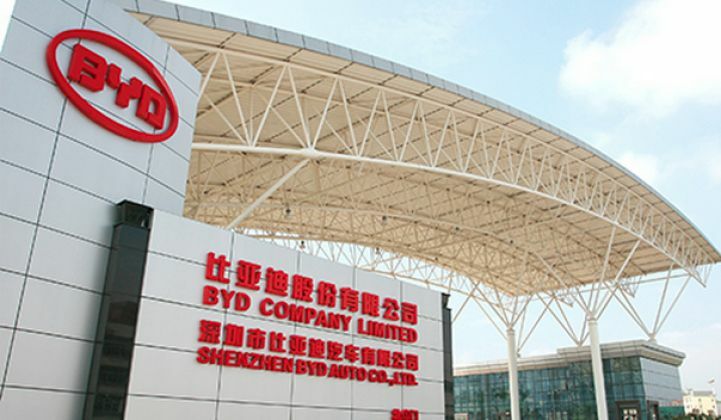 "It’s a bit surprising that China hasn’t adopted storage any faster, because it has all the right ingredients to be a major storage market," Manghani said. The nation's central planning allows it to move quickly after committing to a goal. So far, the long-range plans have spurred storage demonstration projects, but haven't called for large-scale deployment. "Storage can achieve the same or better level of performance, given their rapid and efficient response, for signals that are rapidly moving up and down," Manghani said. 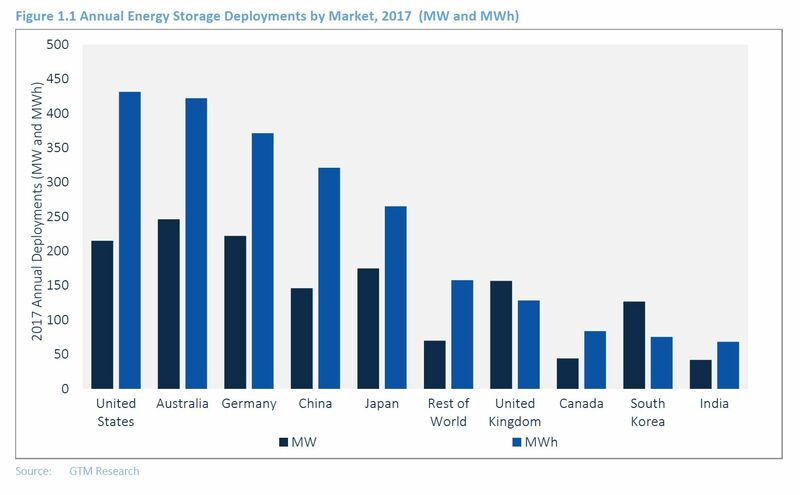 The downside for the storage industry in Korea is that Kepco identified exactly how much storage it needed for ancillary services, and it's building exactly that. This isn't likely to become an ongoing business opportunity; instead, developers will look to longer-duration projects for renewables integration. An executive summary of the Global Energy Storage outlook is available here.